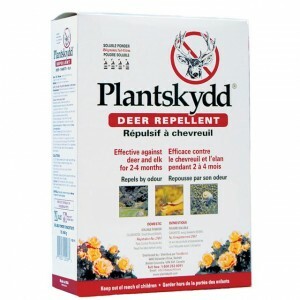 PROVEN by independent research to out-last and out-perform all other-repellents— up to 6 months over-winter! 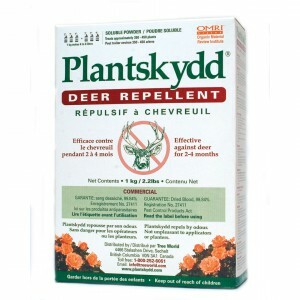 EFFECTIVE against deer, rabbits, elk, moose, chipmunk, squirrels, nutria, opossum, and mountain beaver. RAIN-RESISTANT — no need to re-apply after every rainfall. 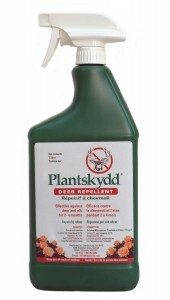 SAFE for use in vegetable gardens, on fruit trees and food crops. 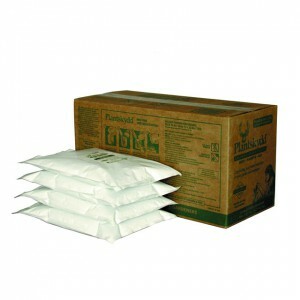 CERTIFIED ORGANIC — first animal repellent listed by the Organic Materials Review Institute (OMRI) for food production. 3 FORMULATIONS for maximum effectiveness and user convenience. 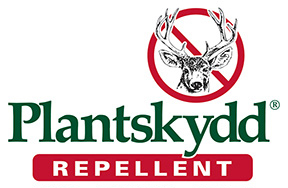 Plantskydd is safe for children and pets.